Interested in Getting Involved with LEO? New members are always welcome to join our Issaquah and Snoqualmie Valley Outreach Committees. 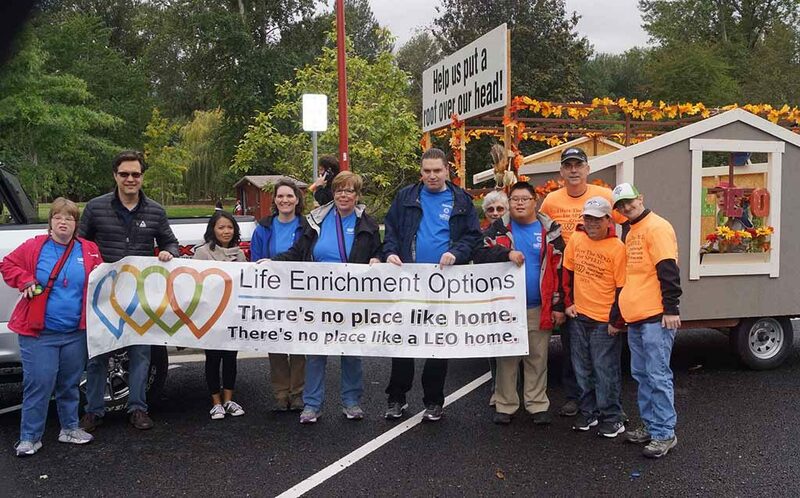 The committees meet just four times each year planning the spring and fall educational presentations, sharing information about LEO at the Issaquah ArtWalks, and participating in the Salmon Days and Festival at Mt Si parades. The committees are an important way for LEO to connect with the needs of the community. For more information, contact us: info@lifeenrichmentoptions.org. Held in July, August or September in conjunction with the Rotary Clubs, we offer races across the state! From Oak Harbor to Snoqualmie, this is a fun day for participants and family. 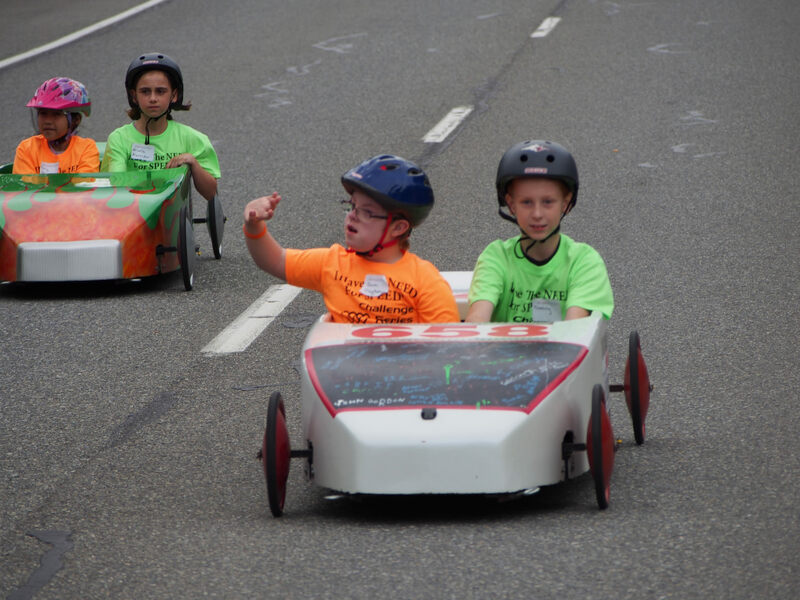 If you want to volunteer to help at one of the races, know of a responsible student (between 4’8” to 5’2” and up to 130 pounds) who would like to learn how to be a driver of the gravity race cars, OR if you know of someone with cognitive or physical disabilities who would enjoy being a co-driver, let us know! Also, if you have a company or product to advertise, we can put your name on our on cars (just like Indy!) for a fun way to publicize yourself in your community!